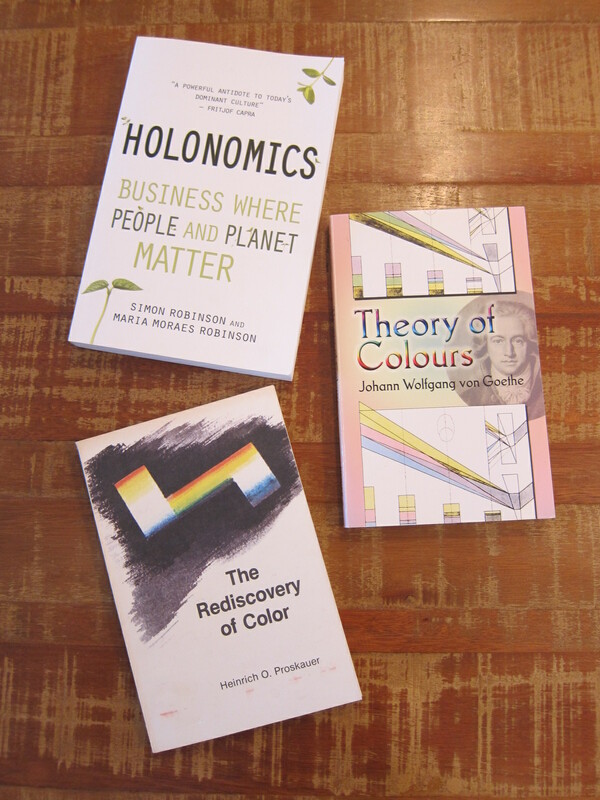 In our book Holonomics: Business Where People and Planet Matter we write extensively about Goethe’s Theory of Colours. The reason we do so is to help people understand what is meant by a phenomenological approach to understanding the world we live in. When we follow Goethe, we study colour as a phenomenon, and we do not try and then go past the phenomenon to explain colour in other terms, such as rays of light, packets of photons etc. In doing so, we are not trying to find alternative explanations to those of science, rather we are attempting to develop our sensory skills so that we can better appreciate the sensory world we inhabit. In teaching Goethe’s Theory of Colour to business and other MBA students, Maria and I have found that people are better able to explore the way in which scientific thinking impacts on the way in which they consider the natural world, and the manner in which our intellectual minds dominate over the other ways of knowing: sensing, feeling and intuition. By breaking our of abstract and symbolic thought, we are able to see and understand more of what is around us, enabling to inhabit once again a vibrant living organic world, being more open to new ideas, ones which may not necessarily fit our pre-conceptions of the world, thus developing a more creative and constructive relationship with nature, our technology, and of course other people we connect with in our daily lives. In Holonomics we guide the reader through some of the fundamental ‘experiments’ that Goethe carried our using a glass prism. In actually doing the experiments, the reader begins to gain experiential knowledge of what is meant by a phenomenon, and how for example different colours by Goethe were thought of as belonging together. In 1951, Heinrich O. Proskauer first published his wonderful book The Rediscover of Color which was written to take readers step-by-step through all of Goethe’s experiments. 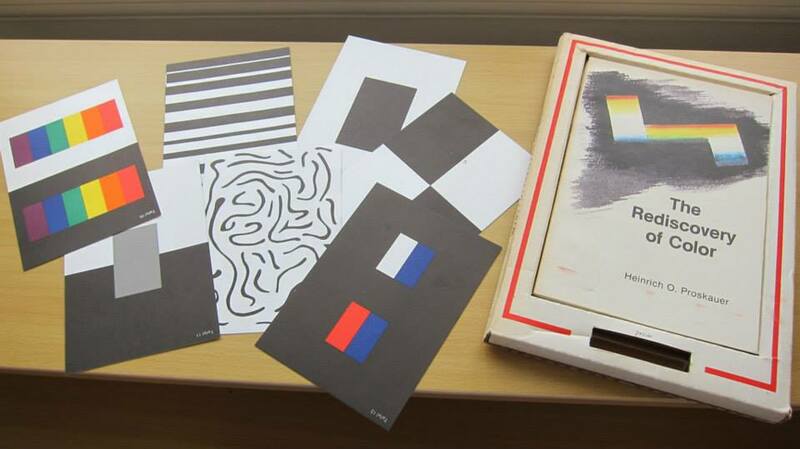 The book came with its own small prism, and sixteen colour cards (printed on both sides) which allowed readers to follow the steps that Goethe described in The Theory of Colours. Unfortunately Proskauer’s book is no longer in print, and secondhand copies are extremely expensive. These slides you are about to see replicate the colour experiments from The Rediscovery of Color, allowing you to explore further Goethe’s theory which we describe in Holonomics, along with instructions on how to use the prism. Holonomics introduces the reader to a dynamic way of seeing and thinking about systems. It is a way of seeing which expands our mode of consciousness from the analytical to the intuitive; one that not only is able to understand the parts of a system, but at a deeper, intuitive level of perception, is also able to understand the relationships and processes within that system – not from the perspective of a whole which is superior to the parts, but from one which is able to encounter the whole through the way in which it comes to presence in the parts. (‘Intuition’ as we use the word should not be confused with ‘feeling’ as it is used in everyday language, but as a higher level of cognition to that of our intellectual minds). Part One of Holonomics is devoted to leading the reader into the dynamics of seeing. These four chapters introduce the reader to the work of Henri Bortoft who passed away in 2012, just a few months after the publication of Taking Appearance Seriously: The Dynamic Way of Seeing in Goethe and European Thought. 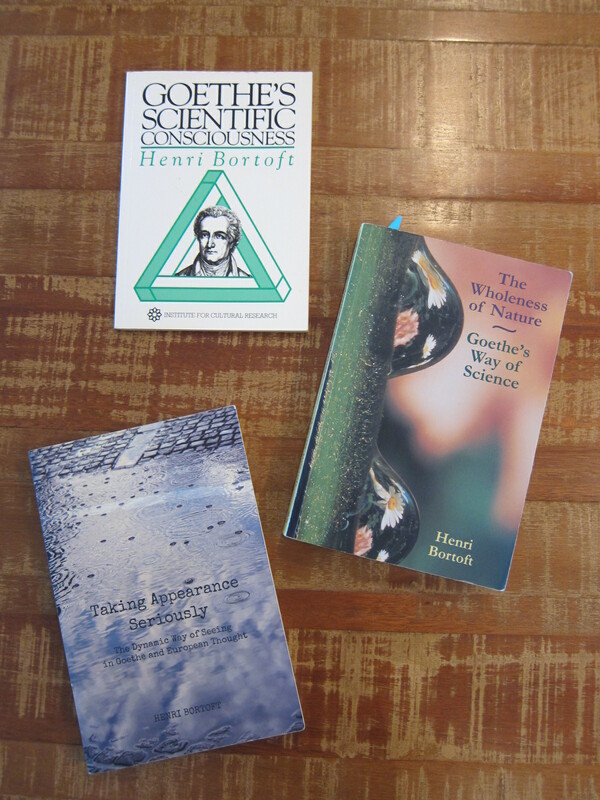 This last book built on his previous two works Goethe’s Scientific Consciousness (1986, now out of print) and The Wholeness of Nature: Goethe’s Way of Science (1996). For those readers who have already read Holonomics and wish to explore Goethe’s phenomenological approach to science, we recommend reading both The Wholeness of Nature and Taking Appearance Seriously, with are both published by Floris Books in the UK.